This is a reblog from the website of Quantum Healing Hypnotist, Nicole Radke. This life that you are living is an expression of your soul. Think about it. This life that you are living is but one expression of your soul. Unconditionally loved and supported. This is also where things get complicated. As a soul we choose our circumstances and the situations we will learn the most from in this unique life. Your soul’s task is to grow and acquire knowledge. You are a gatherer of information and experiences. Ultimately you return to source and do it all again. Perhaps in this life you wanted to learn about strength, happiness, sadness, loneliness, relationships, physics or space travel so that you understand it and can apply it. As humans we are always in search of answers. Mostly we seek it outside of ourselves by expecting others to heal our pain or we think we can fix others because we care so deeply. The reality is you are both right and wrong. It was during last weeks meditation that I received this message from my Higher Self or as we in the QHHT world call it, the Subconscious. Physical healing in not only possible it is natural. When it comes to minor aches and injuries we unequivocally know our body will heal without any thought to how. It is a fact. Yet as soon as we are faced with bigger problems we discard all trust in the body and hand ourselves over to the care of others. Nothing has changed, your body still does what it is meant to. It either chooses to respond favorably by accepting the help it is receiving or not at all when their is more to learn from it. It all depends on what is to be understood from the experience. 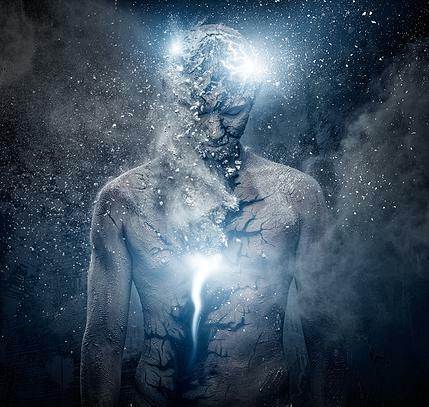 Inside of you on a soulular level is a light, an energy that exists endlessly in all directions simultaneously. Think of it as the flower of life. When you are receiving healing your body opens up to reveal this beautiful luminous being while your higher self begins work on the appropriate parts of your body. The Godspark, unfolds and moves you to a higher vibration. It is so great it cannot be contained in the physical alone. If understood you could very possibly use this power to time travel, it is a type of atomic power, it is not different than astral travelling or opening a wormhole, you could even use if for your space travel. Simply harness the thought. See with your consciousness not your physical eyes. The human imagination is the translator of consciousness. Different energy forms, people and experiences repel because they are not the same kind. You think of them as negative, they are not. Open your “eyes” and see the history you carry inside of you. You are the record keeper, the time keeper. To heal you go outside of time and bring back the knowledge in order for you to move, manipulate and break up the old energy. Infuse new energy. Be healed. The planet has too much old energy and this is the negativity that you see, you call it bad or “evil”, it is not. It is now done, complete. You (earth) have shifted but you don’t realize it. Realize and behold your beauty, your true nature, your power. Feel the love, be the love, share the love, you ARE love. The dawn is near. Reunite now humanity. We (source, higherself…) do not want to see you perished.This is not your will. It is your making, choose wisely. We’ve sent many helpers throughout time because we love you so. You can change the world by changing yourself.